HF-STEADICAM SMPTE Fiber Camera Cable Jumpers Lightweight and flexible HF-STEADICAM jumpers are designed for use with portable camera stabilizers, such as the Steadicam, and camera jibs to provide unrestricted movement without the weight. The steel strength member has been removed from the cable for increased flexibility and ease of use. 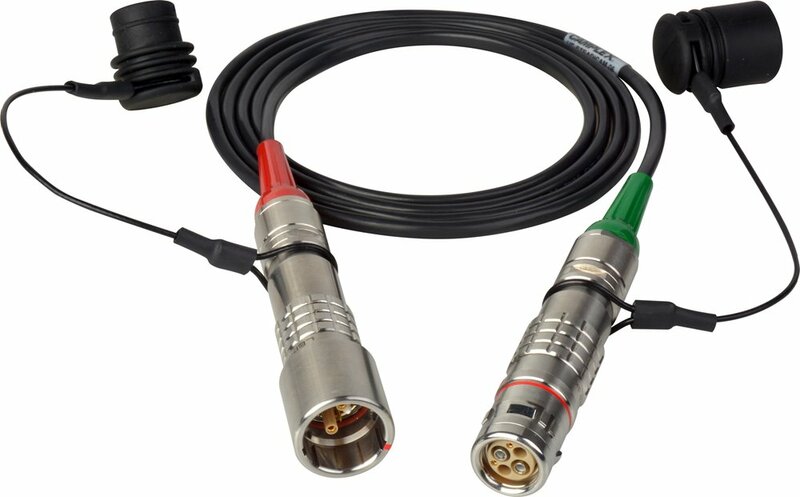 With thin Mohawk 4.2mm SMPTE cable and durable LEMO FUW/PUW connectors, the HF-STEADICAM is a reliable short distance interface between the camera and a standard SMPTE cable for signal transmission. CHECK camera and Steadicam platform type to determine power cable requirements before ordering. Camplex HF-STEADICAM SMPTE jumpers are designed to operate with local power. These assemblies use lighter AWG power conductors and may not be suitable for applications where the power is provided by the CCU. NOTE: Maximum available length is 10 feet. See our SMPTE cable offerings for any length over 10 feet.